Miniaturization has no bounds and it has been the efforts of developers to come up with gadgets as tiny as a grain of rice and maybe someday even smaller. 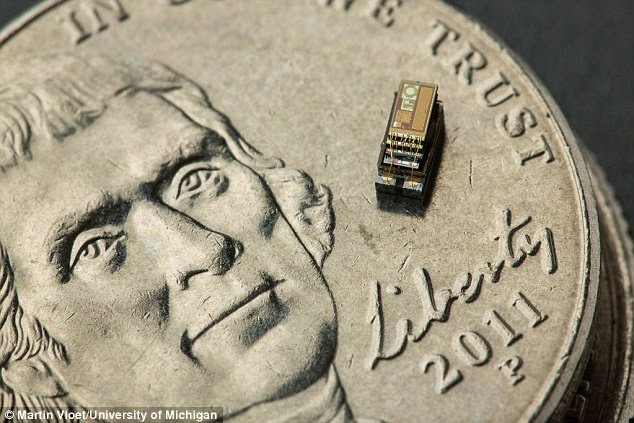 And in the quest to make the smallest computer ever possible, here is Michigan Micro Mote, or simply called M3, is a complete computer system less that 5mm across. Amazed - aren't you? Well I was. This tiny computer which gets its power from the ambient light around, thanks to the solar energy, had the capability to compute and invisibly monitor you and your house.